This year our class is going on camp to Narnu Farm on Hindmarsh Island – we just can’t wait. It’ll be so much fun. The camp will support our Inquiry learning called From Land to Hand. We will be learning how raw and unprocessed materials to final processed products that we use every day! 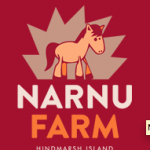 Here’s a link to Narnu Farm. 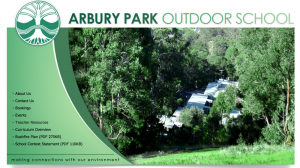 Hi Classmates – I’ve just received a letter to say that we’re going on camp to Arbury Park Outdoor School from the 6th-8th of November. Isn’t that exciting news. I know it’s a long way off but I’m sure it’ll be so much fun. Here’s a link to the school’s website so you can see what we might be doing when we go on camp. What are some of the activities you’d like to do on camp? We went to Narnu Farm and had a great time doing lots of different activities on the working farm. 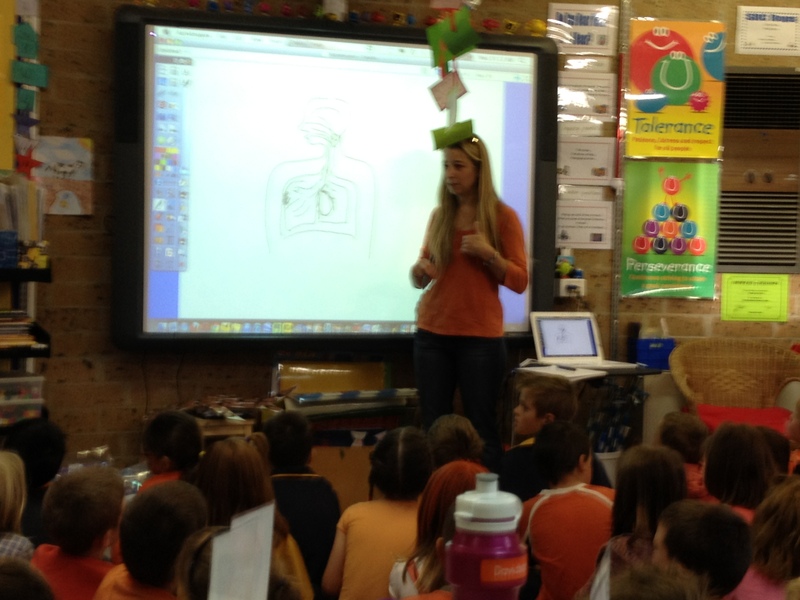 As a part in our Inquiry into the systems within the human body we had a special guest visit all of the Year 2/3 & Year 3 classes. 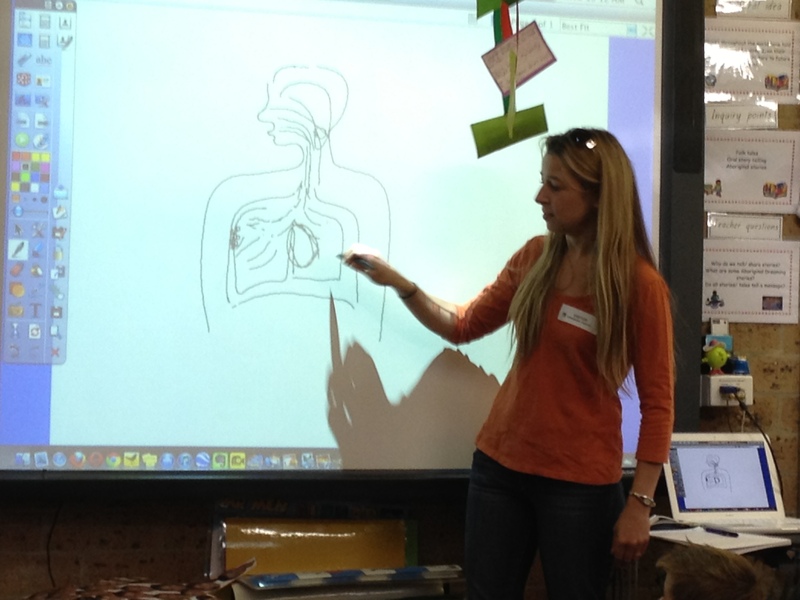 Our guests name was Julie – she is Sam’s mum (he’s is the class next door) and Julie cam to talk to us about the respiratory system. 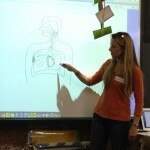 Julie explained how our lungs work, what our heart does, how our body uses the oxygen we breath in and sends it around our body. 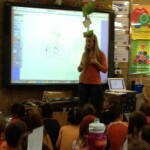 The student asked lots of great questions too! 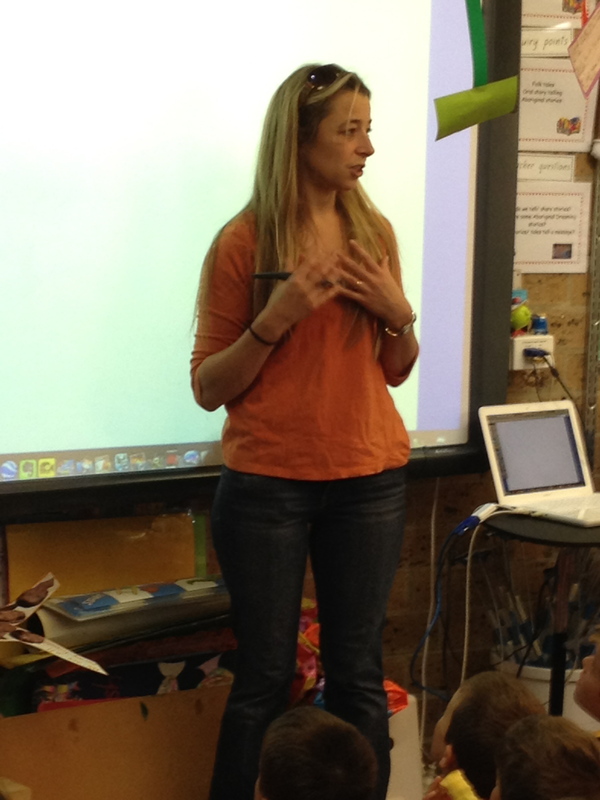 Thanks to Julie for talking to us – we learnt so much! Our excursion to the Migration Museum in Adelaide. As a part of our inquiry called Let’s Celebrate we went to the Migration Museum to learn about celebrations from around the world. The Migration Museum is a wonderful museum to visit because it has lots of information, facts and artefacts from all over the world. We learnt that when people first came from England to Australia they brought lots of their traditions with them. For example: eating a hot lunch on Christmas day – usually a roasted turkey. Over the years Australia has had lots of people from many different countries come to live here. They have also brought their traditions and celebrations with them. While we were at the Migration Museum we worked with Toby and Diedre to discover new celebrations from all over the world. As they gave us a tour of the museum we looked at the different materials that were brought over from England by the first settlers. Some items were knives, forks, clothing, tools and basic materials needed for everyday life. Then we went to another building and Toby talked to us about celebrations from India, Vietnam, Australia and England. We looked at the displays showing clothes, foods, candles, lights, decorations and presents for different celebrations. We discovered that many celebrations from around the world have light in them, candles that burn brightly. This light shows that there is brightness and hope in our world. Toby told us stories to go with celebrations from India and Vietnam. We have lots of photos to show for different parts of the excursion ( if fact we have way too many photos to put on our blog – so pop into the classroom and see them all if you would like). This shows life of the early settlers in Australia. Many early settlers came from England. The Indian and Vietnamese celebrations with Toby. Toby described some celebrations that we have, like Father’s Day (where we give a gift to our Dads to show them how much we care about them) and Valentine’s Day (giving gifts to people we love). Then he showed us an Indian and a Vietnamese celebration. Our faces painted from an Indian ceremony. To match one of the ceremonies we looked at we made our own beaded bracelets with bright colours and decorations on them. This is a special ceremony where we remember people who have died and gone to heaven. For the fire ceremony we drew pictures of items we thought our loved ones would like to have up in heaven. Then we placed these pictures in a big barrel and set fire to them. It is believed that as the smoke rises people in heaven receive our special gifts and kind thoughts to know that we still care for them. This is based on a celebration from India. Lunch along the Torrens River. After our learning we walked over to the Torrens River for our lunch. The Torrens River runs through the middle of Adelaide and it is a very pretty part of our city. We also played on the grass and had a walk along the river. Check the photos from our amazing overnight Zoosnooze to the Adelaide Zoo. We travelled by bus to the Adelaide Zoo and unpacked our equipment for our overnight trip. We split up into our groups and began touring the Zoo. There was so much to see. After an a snack we continued exploring. When we returned we met the Night Staff, who stay with us overnight and set up our beds. Then we had a Barbecue dinner and went for a night walk. It’s a bit scary to walk around the Zoo in the dark. 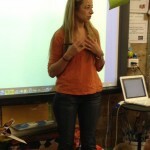 Our Education Officer explained a lot about the animals that were out at night and the habitats we could see. Then we had supper and watched a movie. Very early the next morning we had breakfast, packed up our sleeping bags, ate breakfast and went on a dawn walk around the Zoo. During this walk we could see the Zookeepers feeding different animals, cleaning out their enclosures and watched how the animals start their day. We LOVED having the whole Zoo to ourselves and would love to go back for another visit. Wow – an overnight at the zoo! My students would love to do that! At our school the first year they can go on an overnight is 5th grade! When I was last in Australia we went on a night visit to Currumbin Wildlife Sanctuary. It was wonderful to see the nocturnal animals being active, but it was a little scary being there in the dark too. What was your favourite part of your overnight at the Zoo? Hey – thanks so much for your comments. We LOVED all parts of the Zoosnooze but it was scary walking around the Zoo at night. Lots of animals make strange noises that we didn’t expect- and the noises come from bushes and places where you can’t really see the animals. Some people were at a “Panda Party”. They were looking at Funi and Wang Wang, they are the new pandas that we have at our Zoo for the next 10 years. We found out that they eat 20 kilograms of bamboo each every day – we think that’s a LOT of bamboo!! I loved the zoosnooze it was fun. I had lots of fun at the zoosnooze. I loved looking at the photos of my big sister and her friends at the zoo. looked like fun……can i go next time?? It looks like you had a great time at the zoo with all of the interesting animals. I’ve just been looking at your Zoosnozze pictures – I wish they let grown ups do thinks like this!! I’ve just been looking at your Zoosnozze pictures – I wish they let grown ups do thinks like this!!! Museum!! !I bet you had a lot of fun too. I think the Migration Museum was interesting. Tracy here (Brodie’s Mum). Somehow I missed these photos and haven’t seen them before! They look great. It seems like so long ago that you went there now doesn’t it. wow! All the camps and excursions you went to looked lots of fun! Hope you enjoyed it! Hello everyone. I am Harry’s Nanna Nette. The excursion looks very informative. I hope you all learnt alot about the past. I love Excursions and camps [even though I have never been on a camp before]. Last year when I was in mrs kolmberg’s class I think my class went to a reef for an Excursion. We are looking forward to the narnu farm camp it will be sooooo fun.